We are elated that fans new and old are enjoying it and hope that the voting members of the Academy agree! 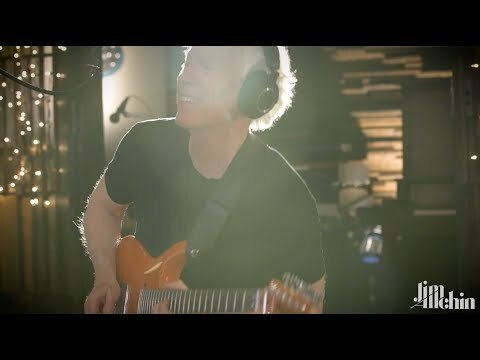 SEATTLE, WA, October 17, 2017 /24-7PressRelease/ -- Jim Allchin is an American blues rock guitarist, philanthropist, and a former software executive. Decisions is Jim's third widely distributed solo album and was produced by Grammy and Blues Music Award winner Tom Hambridge, whose production credits include Buddy Guy, BB King and Susan Tedeschi. Decisions features 14 new tracks performed by an all-star group of musicians including: Reese Wynans (Double Trouble, Joe Bonamassa), Michael Rhodes (Aaron Neville, Joe Bonamassa), drummer/vocalist Tom Hambridge, Mycle Wastman (NBC's The Voice), vocalist Miss Wendy Moten, LA's Heart Attack Horns and special guest Mr. Keb' Mo'. Apple Music featured Decisions in "New Music" on the main pages as well as the Rock and Blues sections and the album's consistent Top 10 performance on the Roots Music Report over the past six months is most notable. Said Allchin: "Releasing this album this year and hearing from fans around the globe has been a rewarding experience for me. And being placed on the Ballot for a Grammy Nomination for the Best Contemporary Blues Album was gratifying, to say the least. The team behind the record, from the studio engineers, co-writers and musicians and the social media crew to our marketing and promotions team really got behind it, and I truly appreciate their efforts!" Producer Hambridge added: "Closely collaborating with Jim has been a real pleasure and we're very proud of each and every song on the record. We are elated that fans new and old are enjoying it and hope that the voting members of the Academy agree!" Decisions is available at jimallchin.com, iTunes, Spotify and other online stores.